Inspired from cubism, the Denver range features softened hard lines with soft curves. 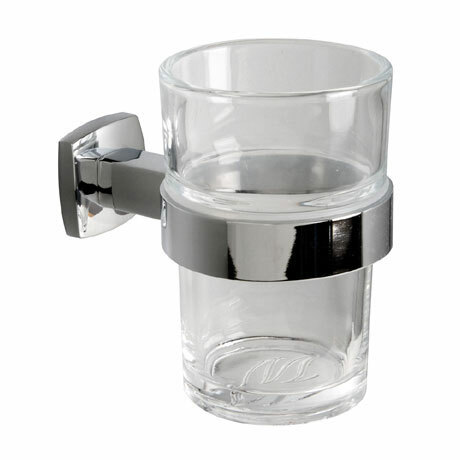 This wall mounted tumbler holder is finished in chrome with a clear glass tumbler for a stylish finish and features the full-fix 'anti twist' system which prevents the accessory from turning when fitted. This accessory can also be used with the Miller fixing adhesive to eliminate the need for drilling.